The Travelling Lindfields: Rustic charm at five hundred dollars a night. Rustic charm at five hundred dollars a night. Many years ago, when we were young, David and I travelled through the French countryside staying in 'one star' hotels. They had rustic charm by the bucket load. They also had intermittent plumbing, bed-bugs, and bathrooms down the hall - but they were cheap and we were young. We quickly out-grew them. 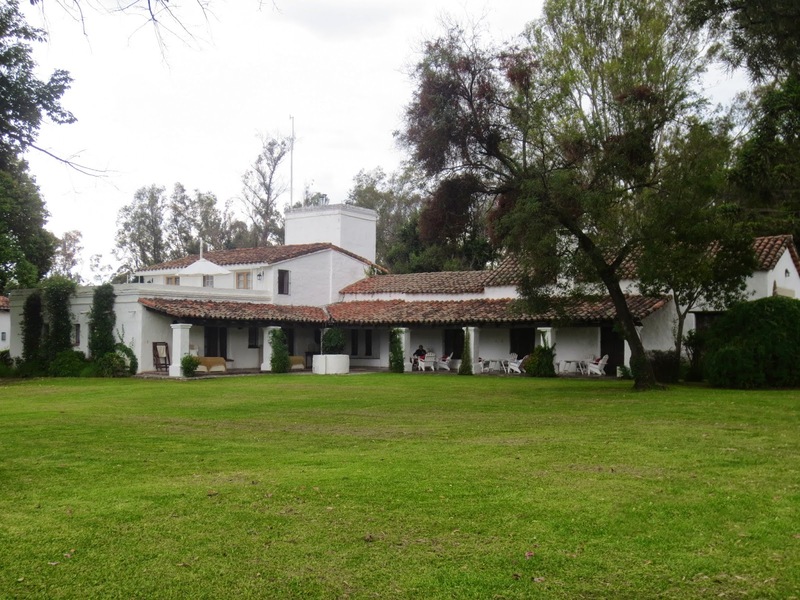 For the next few days we are staying at the House of Jasmines, an Estancia just outside Salta, once owned by Robert Duvall. Like the 'one-star' French countryside hotels it has loads of rustic charm - but the plumbing works, there are no bed-bugs and the bathroom is an en-suite. For these little extras we are paying twenty times the price - not quite five hundred dollars a night but close enough. 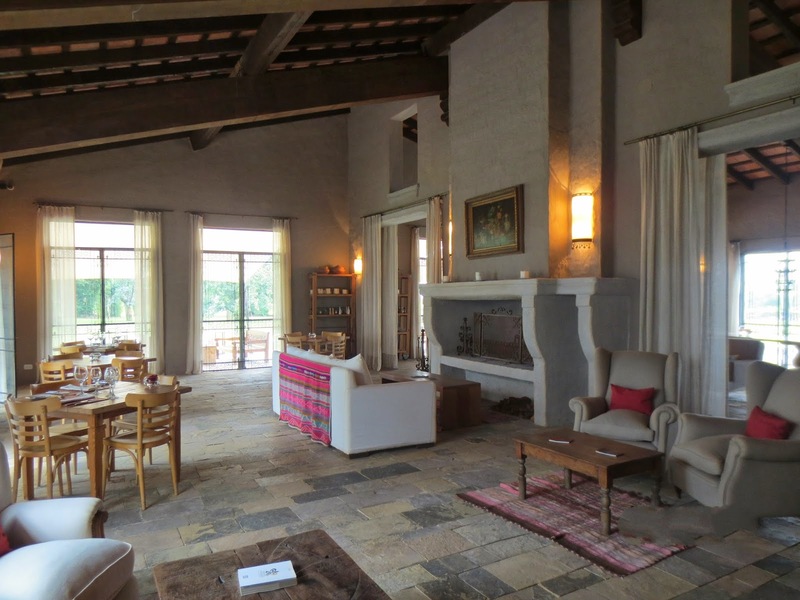 This is a 'Relais and Chateaux' property aimed at the luxury end of the market. The 'one-star' French countryside hotels were probably better value but the House of Jasmines is lovely nevertheless. We feel a bit like Audrey Hepburn and Albert Finney in the movie Two for the Road - without the marital problems. Anyone who has read my blog post on Montevideo might remember us borrowing what I thought at the time were the world's worst free bicycles. I take it back. The worst free bicycles in the world are right here at the House of Jasmines. We took them out yesterday. My bike was stuck in the same gear the whole ride and had no brakes to speak of. The seat on David's rocked back and forward precariously and slipped down every time he sat on it - a four foot midget may have found it comfortable but not my average-height husband. Fortunately we didn't want to go far and the countryside here is flat. 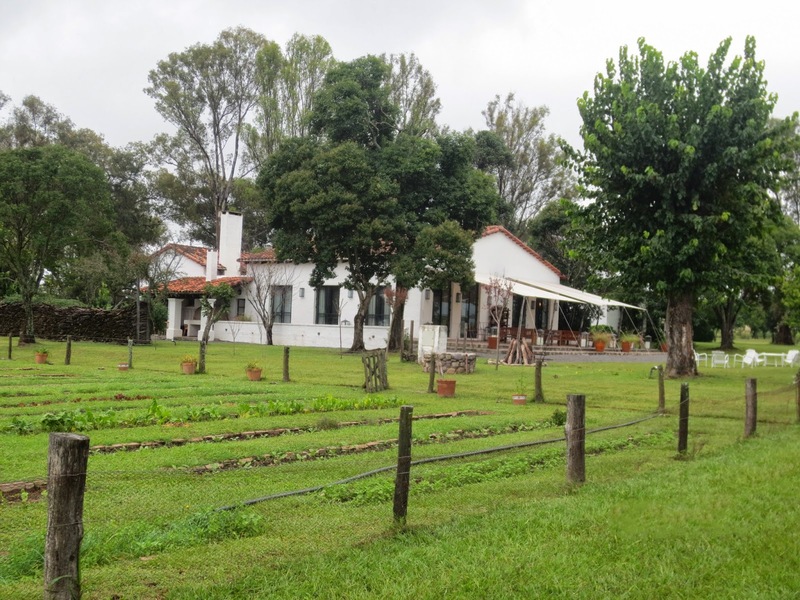 We cycled through the Estancia to a nearby river ditched the bikes and went for a walk. On the way back we cycled a bit and walked a lot. Despite the awful condition of the bikes we had a great time but I promise never to whinge about taking our own bikes with us on holiday again. Flying bicycles is a monumental hassle but I'm beginning to think it is worth the effort. 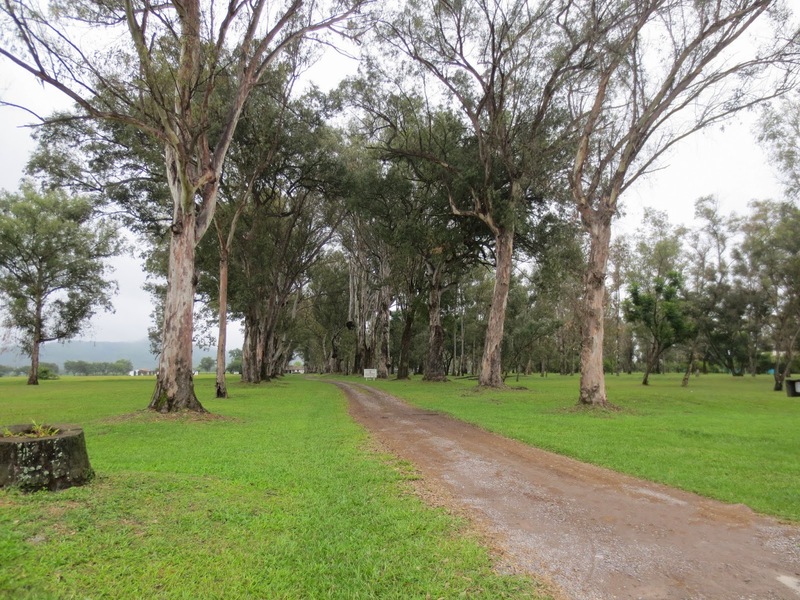 The Estancia's long driveway - recognise the trees?